Atletico Madrid were the biggest winners in this week's second leg of the UEFA Champions League quarterfinals, eliminating Barcelona by a 2-1 aggregate score. In Camp Nou last week, early substitute Diego put the visiting Atletico ahead 1-0 in the second half with an impressive long range shot. Belgian goalkeeper Thibaut Courtois heroically kept Atletico ahead until the 71st minute, when Neymar equalized for the home team on an assist from Andres Iniesta. The first leg ended in a 1-1 draw. In the second leg this week, Atletico Madrid's Adrian Lopez hit the goalpost in the fifth minute. David Villa collected the ball and crossed it to Lopez, who headed the ball in front of the goal for Koke to volley into the net. Later, Koke would repay David Villa with a near assist but Villa struck the crossbar, nearly driving a dagger into his former team. Atletico went on to win 1-0 at home for a 2-1 aggregate victory over Barcelona. Atletico Madrid are having a much better season, in first place to Barcelona's third place (trailing Real Madrid as well). The narrowest win, on the away goals rule, was Chelsea in their quarterfinal "win" over Paris St Germain. PSG destroyed Chelsea 3-1 in last week's first leg in Paris. Ezequiel Lavezzi scored almost immediately in the fourth minute. Chelsea would equalize on a penalty, as Thiago Silva fouled Oscar in the box and Eden Hazard scored the penalty on the road for Chelsea. That penalty would turn out to be very important. PSG dominated the entire game. Lavezzi deserves credit for the second PSG goal as well, taking a free kick that Chelsea defender David Luiz would knock past Peter Cech into his own net. Javier Pastore replaced Lavezzi in the 85th minute, and in the 93rd minute of extra time, Pastore doubled the PSG lead to 3-1. In this week's second leg at Stamford Bridge, Samuel Eto'o and Frank Lampard returned to the Chelsea starting lineup after recovering from injuries. This allowed Mourinho to remove Eden Hazard after only 17 minutes, as Hazard seemed to have some sort of problem, and replace him with Andre Schurrle. This move turned out to be brilliant when Schurrle scored in the 32nd minute, to give Chelsea a 1-0 lead and cut the aggregate score to 3-2 in PSG's favor. Frank Lampard must have rushed back from his injury and was not fit enough for a full match, because he was replaced by Demba Ba in the 66th minute. Once again, Mourinho looked like a genius when Ba lofted a deflected Cesar Azpilicueta shot into the goal in the 87th minute. Chelsea won the game 2-0 and the match was a 3-3 draw aggregate. But, with a 3-1 loss in Paris, Chelsea advances to the semifinals on the away goals rule. They will play against Atletico Madrid. Defending Champions League champions Bayern Munich appear to be the team to beat. Last week, they traveled to Old Trafford and played Manchester United equally. Nemanja Vidic gave Man U the lead by heading a Wayne Rooney corner kick past Manuel Neuer in the 58th minute. Just 9 short minutes later, a Rafinha cross was headed by Mario Mandzukic to Bastian Schweinsteiger, who then volleyed the equalizer past David de Gea. Arjen Robben then shot wide twice, nearly winning the road leg for Bayern. This week, in Munich, Robben was incredible, missing three good shots before halftime and then dominating the second half. In the first half, Man United appeared to take the lead when Antonio Valencia put the ball into the net, but the goal was called back for offsides. Man U took the lead for real in the 57th minute, on a Patrice Evra blast. It was almost as if Bayern needed to allow a goal before getting serious about winning. Mario Mandzukic headed a Franck Ribery cross into the goal just 2 minutes after Evra's goal, bringing the game and aggregate match scores equal for the last time. The rest was all Arjen Robben. Robben crossed to Thomas Muller, who put Bayern Munich up for good in the 68th minute, and then Robben finished off Man U in the 76th minute with an outstanding solo effort. Bayern Munich won the second leg 3-1 for an aggregate 4-2 victory. Bayern Munich's opponents will be the powerful Real Madrid, who beat Borussia Dortmund 3-0 in Madrid and then hung on as Dortmund beat them 2-0 in the second leg for a 3-2 aggregate win for Real Madrid. In last week's first leg at Bernabeu, Gareth Bale scored the game winning goal with an assist from Daniel Carvajal in the 3rd minute, and it looked like it would be a laugher for Real Madrid. Argentine star Angel di Maria was sick, so 21-year-old Spanish up and coming star Isco got a start, and Isco made the most of it, scoring in the 27th minute to double Real Madrid's lead. Finally, Cristiano Ronaldo tied the record for most goals in a Champions League, with 14 (also held by Lionel Messi and Jose Altafini) with an assist from Luka Modric. Ronaldo would not be able to break the record until the semifinals, as he was injured for this week's second leg at Dortmund. It looked like Real Madrid would clinch advancement with a penalty kick in the 17th minute, but Angel di Maria slipped and shot it right into Dortmund 'keeper Roman Wiedenfeller's outstretched arms. But then Madrid center back Pepe, normally very reliable, missed a header attempt and knocked the ball backwards, toward his own goal. Marco Reus was the first to get to the ball and easily shot it past Iker Casillas to put Dortmund up 1-0 in the 24th minute. Reus would score a second time, after finding Robert Lewandowski in the 37th minute. Lewandowski would hit the post, but Reus once again was the first to get to the loose ball and scored his second of the game, to bring Dortmund within one aggregate goal, 3-2. Dortmund attacked Casillas' goal mercilessly throughout the second half, and came closest to tying the aggregate match when Armenian star Henrikh Mkhitaryan dribbled past Casillas but then hit the post with what would have, should have, forced overtime. 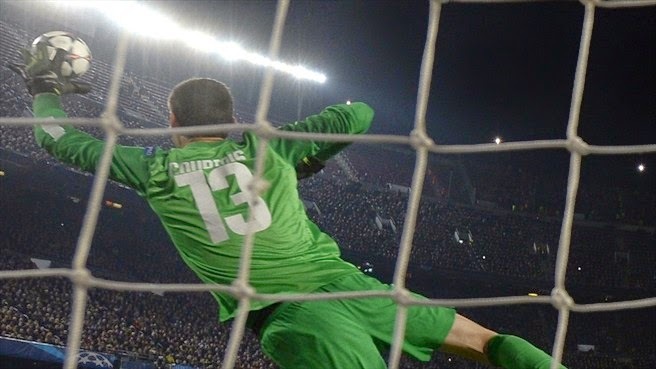 But, Casillas saved every other Dortmund effort to hang on to a 3-2 aggregate win for Real Madrid. The semifinal matchups were drawn yesterday, and unfortunately, the all-Madrid matchup didn't happen. Instead, Atletico Madrid will face Chelsea and Real Madrid will face Bayern Munich. An all-Madrid final is quite likely, but I don't see Real Madrid beating Bayern Munich. That being said, though, Atletico Madrid was very convincing in their win over Barcelona, while Chelsea needed quite a bit of luck to get their one away goal at PSG, so I like Atletico Madrid to make the final. 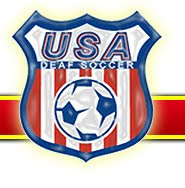 A lot of good soccer teams are playing now and fans are having hard time on what team they would chose to follow. Those four teams deserve their spot on the finals because we all know they have given their best to be good in that sport.